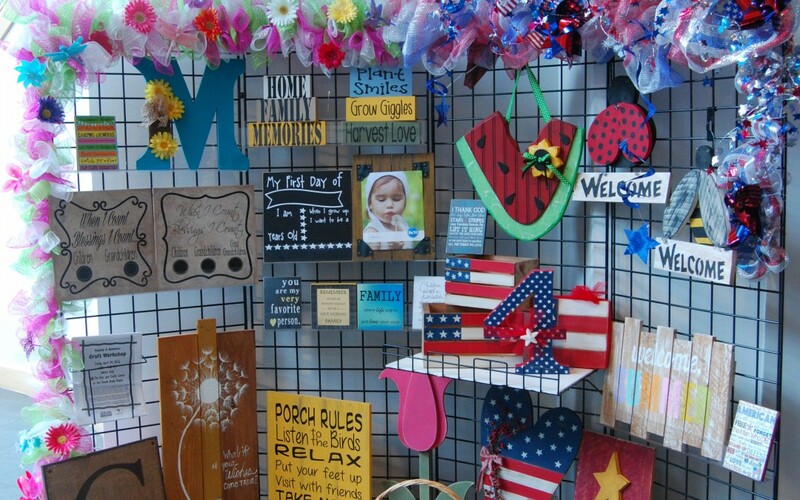 Join the Tooele City Arts Council for the Family & Summer Craft Workshop on Friday, April 29th from 4:00 p.m. – 9:00 p.m. at the Arts and Craft Center at the Tooele Army Depot. Adults Only Please! 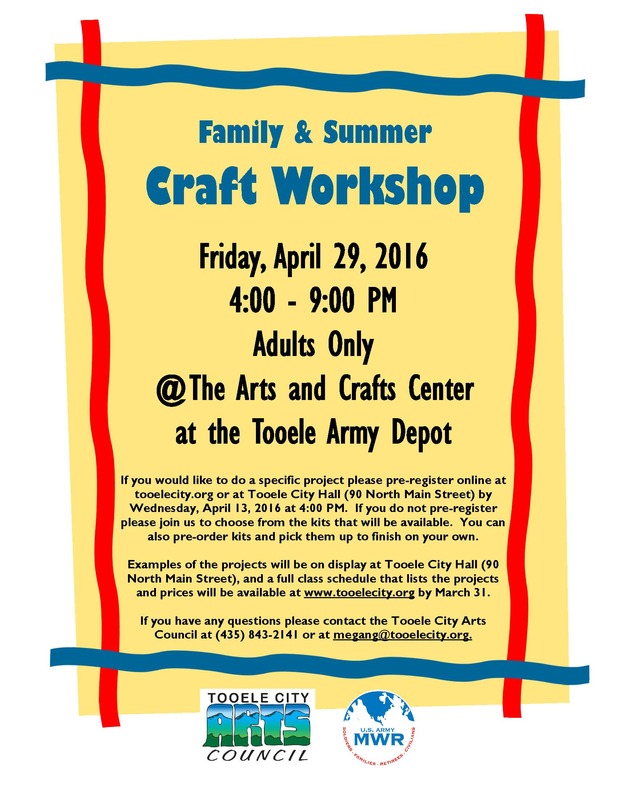 Pre-register by Wednesday, April 13, 2016 at 4:00 p.m.
or pre-register at Tooele City Hall (90 North Main Street, Tooele) by Wednesday, April 13, 2016 at 4:00 p.m. If you do not pre-register please join us to choose from the projects that will be available. You can also pre-order projects to pick up and finish on your own. (Please note that if you choose take projects with you some supplies may not be included in your kits. 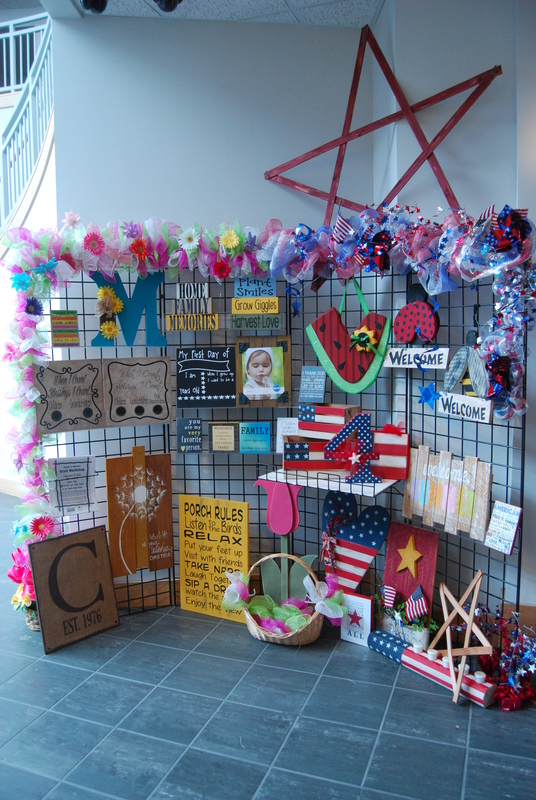 Examples of the projects are on display at Tooele City Hall (90 North Main Street),. (Note that projects will vary from the samples). > PROJECTS AND PRICES LIST!